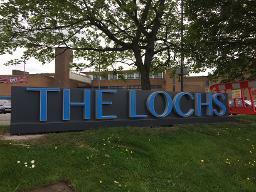 The resurgence of Shandwick Square Shopping Centre in Easterhouse is to be continued with a rebranding and relaunching as 'The Lochs' Shopping Centre. This is the next stage in a project which will see the centre - which has operated in Easterhouse since the late 1960s - improved as part of the wider regeneration of Easterhouse, with a number of housing, leisure and heritage projects underway in the area. These projects are supported by the Easterhouse Town Centre Action Plan. City Property acquired the centre's ownership from Glasgow City Council in 2016, and since then has made early investment in the centre with overdue remedials and maintenance work to protect the fabric of the building. Further investment planned includes replacing infrastructure in and around the centre, such as heating, lighting, roofing, building and car park fabric, as well as providing the much needed toilet facilities. There are plans to upgrade the surrounding public realm. The interior and exterior of the centre will have new décor, and previously unused units have been leased with new tenants committing long-term to the centre. City Property is working with property managers Montagu Evans on how best to market The Lochs Shopping Centre to make it as an attractive a destination as possible, securing existing tenants and attracting new retailers to Easterhouse. Key businesses operating in the centre have recently agreed to extend leases by periods of between 10-15 years, including Farmfoods, Greggs, Iceland, Ladbrokes and Subway. Options for the further development of The Lochs Shopping Centre are currently being considered by City Property. Councillor Angus Millar, Chair of City Property, said: "I am delighted by the work undertaken to invest in this shopping centre, a central feature of Easterhouse Town Centre and an important and well-used asset for the local community. The refurbishment will provide a shopping centre with a vastly improved customer experience to offer, and I am sure it will go from strength to strength in the future. The Lochs Shopping Centre will continue to be a key part of daily life in Easterhouse."